It's Not That Serious: Guess who Threw an Award-Winning Party? Guess who Threw an Award-Winning Party? So like any good party-thrower, I'd like to make an acceptance speech and in doing so, explain how I made it all possible. At this point, I am sure you are asking yourself a whole bunch of questions, such as Do they really give Oscars for party-throwing? 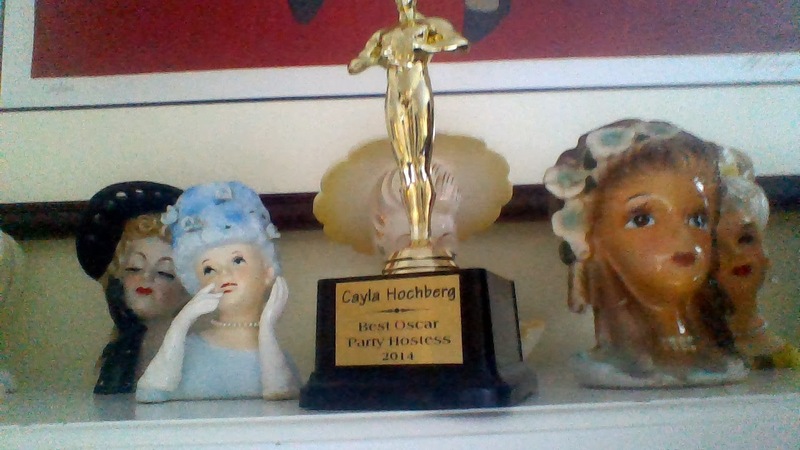 and How can I get invited to one of Cayla's awesome parties? and perhaps the most important question: How does she know all of this stuff? 1. The number one most important tip she told me and I'm telling you is to always have a purpose for you party. It helps you focus your food and décor and timelines and gives guests who may not have much to talk to each other about, something to talk to each other about. In my case, it was The Oscars. 2. Unless you're specifically throwing a food-themed party, don't take the food that seriously. What your guests eat should compliment the party, not make it. In the book she tells this one story about how the caterers messed up the dates and she was left high and dry with no food for a black-tie dinner party. So what did she do? Called up the Colonel and served chicken with 11 secret herbs and spices on her finest china. 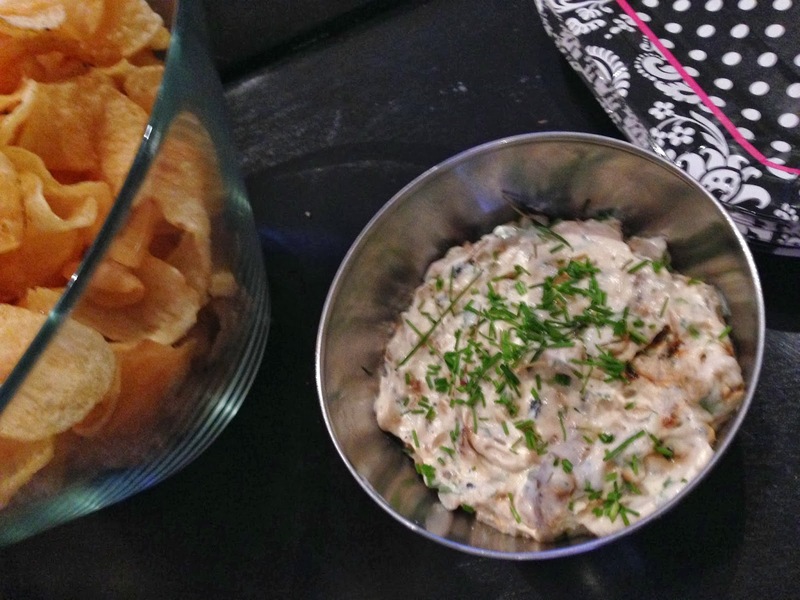 This is why for my party, I served things like serve potato chips in a beautiful crystal bowl alongside homemade roasted onion dip. 3. Make your menu compliment your theme and vice versa. At my Oscar party, I knew that my guests would prefer to nibble all night long rather than partake in a giant meal and that's why I planned a nibbles menu with just one hot dish. And I made sure that that one hot dish was so super-easy to prepare that I literally put it together during one commercial break, stuck it in the oven, and sliced and served it during the next commercial break. 4. Get props for your pictures. You're gonna want photos, and if your guests are like 99% of the population, they're not always pumped about posing. That's why I started providing props. I'm not sure what it is about feather boas and rhinestone glasses, but people really do feel less shy when they're looking their silliest. It shouldn't make sense, but it does. 5. Be dressed and ready at least 1/2 an hour before your guests are due to arrive, even if not every detail is done. It's better for your guests to help you finish putting out place cards vs. helping you put on your pants. I'm not sure when fashionably late went out of style, but at my last three parties, I had guests show up early, let alone on time. 6. Make sure your nails are neat and neutral. Between shaking hands and serving drinks, your hands are going to be on feature tonight and they need to look their best. In addition, as much as you're going to make sure you're hands-off at your party, inevitably you will need to open a cake box or clean up a broken glass or two, which may or may not result in chipped polish. A neutral shade will ensure that chip doesn't show. Currently, I am completely digging Revlon's new shade, Elegant. 7. Have a signature drink that compliments your theme. It's a great conversation starter and makes your bar selection less complicated. When it comes to choice, I like to follow the rule of three. Any more than that and people get overwhelmed. 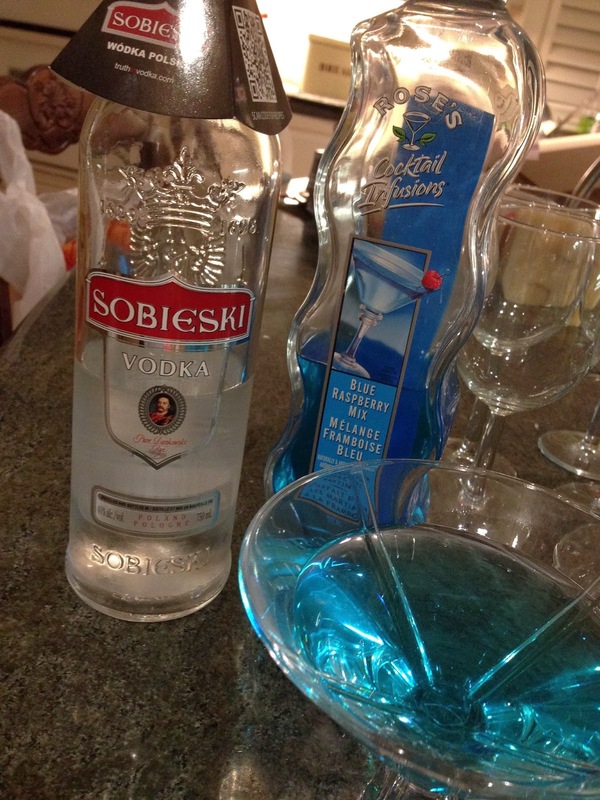 This year for my Oscar party, I had red wine, white wine, and my Blue Jasmine cocktail, created for the movie of the same name and made using blue raspberry mix and Russian Vodka, chosen for its prominent role in the movie Gravity. 8. If guests ask what they can bring, let them know what they can bring, whether it's something you really need or something you want, such as my good friend Leah's addictive Puppy Chow. No matter how much you insist that you don't need anything, you know they're gonna bring something, so you might as well make it work for you. 9. At the end of the night, let your guest leave with more than just memories. Parting gifts -or swag bags- are a great way for your guests to continue to reminisce and enjoy your party long after Donna Summer's Last Dance ends. I like to leave my guests with a recipe or ingredient or gift card relating to something I served at my party. 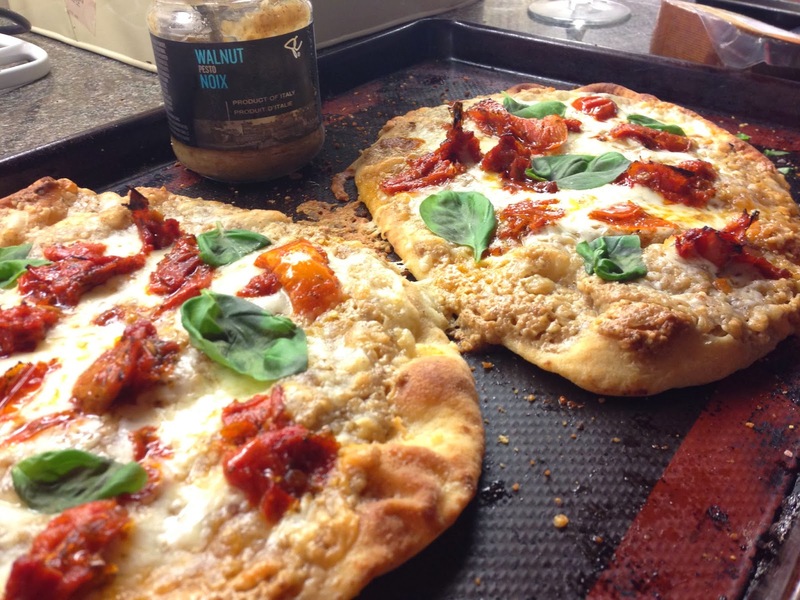 In the case of this party, it was the walnut pesto from my pizzas. It was such an unusual and delicious product and I knew they'd love it. You can imagine how excited I was to tell them they'd all be getting a jar of it when they raved about my pizzas. 10. 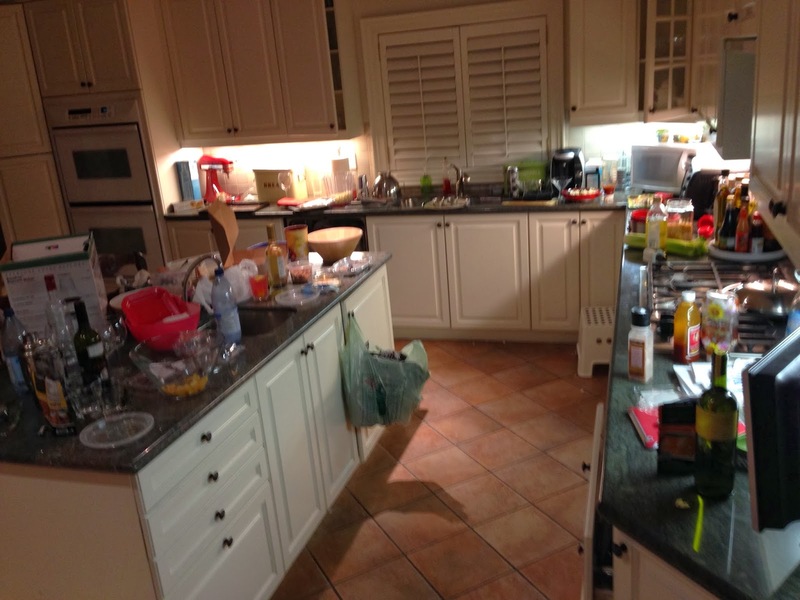 Don't freak out when your kitchen looks like this at the end of the night. In the light of day, everything will seem better and more manageable. It will get cleaned up...eventually. And just like childbirth, you'll forget all about this painful moment and only remember the good stuff and wanna do it all over again. 10. Last but not least, party at your own party. You're not the caterer, you're not the entertainment, you're not the bartender or waitress or bathroom attendant, you're the host. Act like it! Talk to people, dance, eat, have fun! There is so much more I could tell you, like how to choose an outfit and how to create a guest list or about the 30 percent rule (intrigued?) but I'll save that for later. 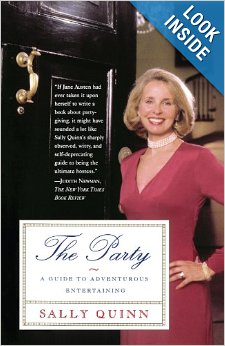 What I am really interested in hearing about now are about your best parties and what made them so great. 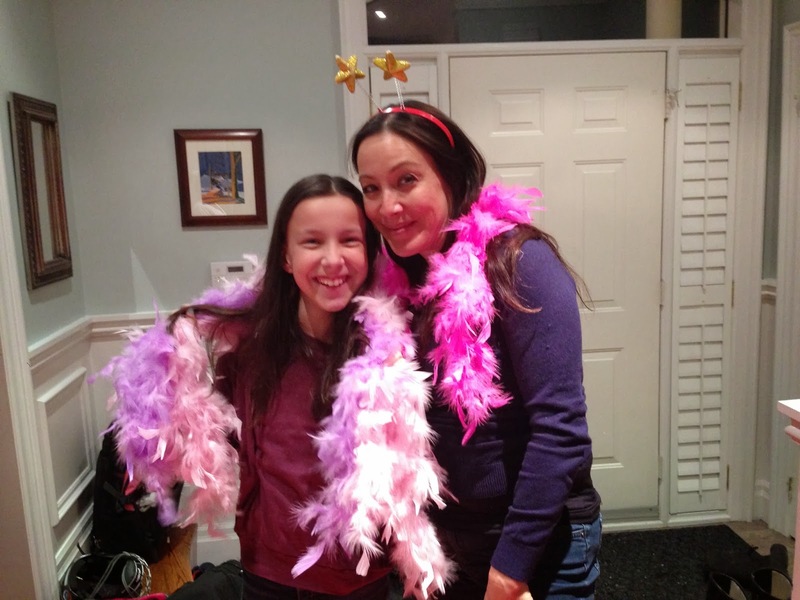 What are your favorite party tips? 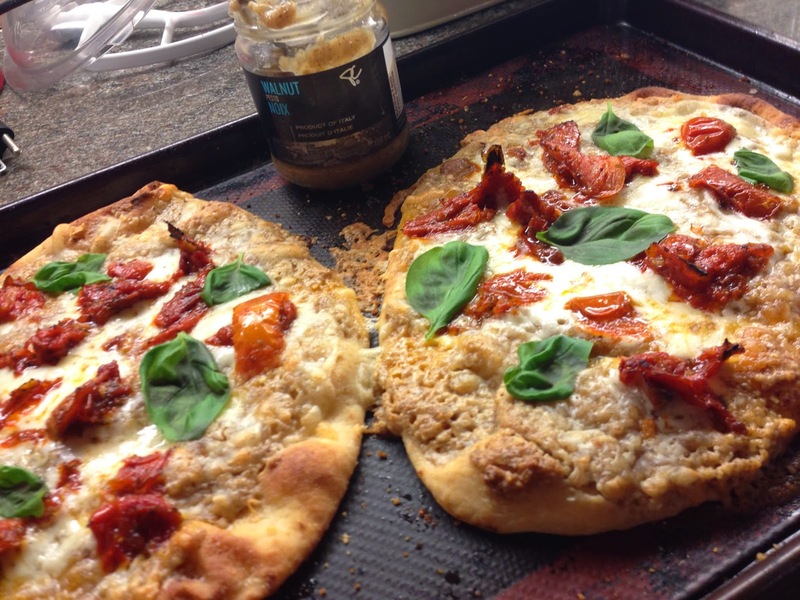 Remove from the oven, add basil leaves, and let cool for a couple minutes before slicing and serving. For more information about Natural Sin and where they can purchased, click here. I was not at all compensated for this post. 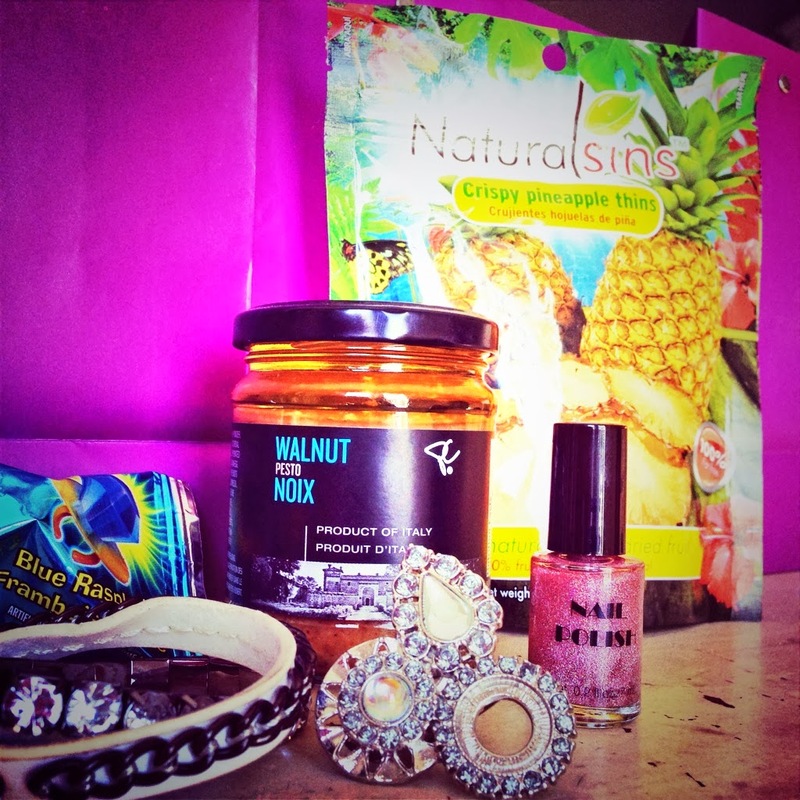 I just like to try out new products and rave about the ones I like best.